From seed to salad and beyond, radishes have been big this year at UF/IFAS Extension Sarasota County. It started with our 4-H youth development program. Each year, our 4-H program partners with the school gardens program, the Sarasota County 4-H Foundation, and Master Gardener volunteers on a radish growing project aimed at teaching third-grade students basic vegetable planting and care, plus basic science skills, like observational reporting. The project provides seeds, record-keeping workbooks, and planting and growing instructions to students, and supplies teachers with the tools and information needed to administer the project in their classrooms. This year, nearly 400 students from eight local schools participated in the radish growing project, with the top entries (as judged by Master Gardeners) displayed at the Sarasota County Fair. From there, we added a new twist to the program: composting activities and education. Our waste reduction program provided composting bins for the contest judges, with the goal of reducing the amount of food waste going to the landfill. 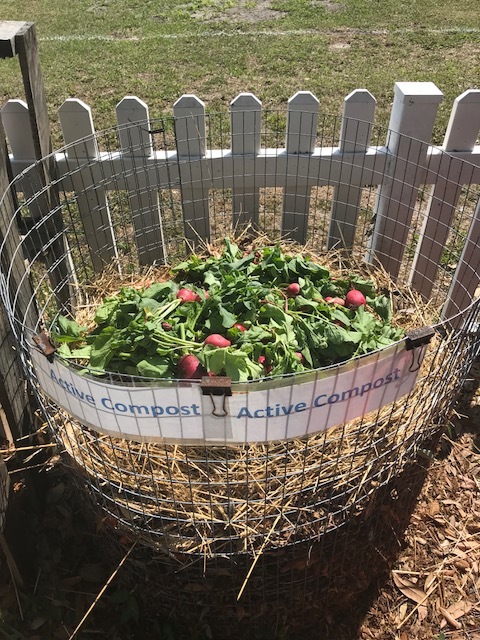 The waste reduction agent then took radishes collected from the contest and transferred them to composting bins in our Composting Learning Center. 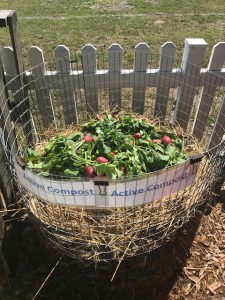 After 60 days, the agent harvested and screened the now-composted radishes live for participants at a new “Let’s Make Some Black Gold!” class that focused on the basics and benefits of composting. UF/ IFAS Sarasota County - Waste Reduction Extension Agent.